a few weeks ago, i posted my family’s favorite way to eat broccoli – roasted, of course. it’s delicious! i also mentioned in that post that i had bought a humongous bag of broccoli from costco. here’s one of the ways we used it up: chicken divan. this recipe is not only delicious, but it is super easy to make and is really filling. it’s perfect for a weeknight family dinner. all you need is: cooked chicken, broccoli, cream of chicken soup, mayo, sour cream, chicken broth, lemon juice, curry, and cheese. follow this easy recipe to see just how simple it is to get a good meal on the table for your family, any day of the week! NB the picture shows the amounts i used for half the recipe…since we have a small family! 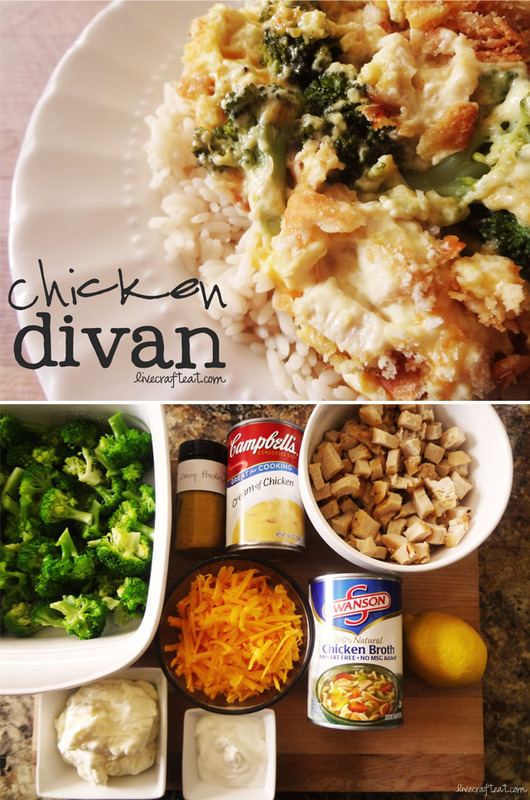 whether you have a small or large family, i hope you enjoy your chicken divan! Easy weeknight dinner for the family with a yummy chicken devan. cut broccoli into florets and steam until just tender, about 2-3 minutes. place broccoli in the bottom of a 9x13 pan. in a large bowl, combine cream of chicken soup, mayo, sour cream, chicken broth, lemon juice, curry, cheese and shredded chicken. pour chicken mixture over broccoli and top with a sprinkle of bread crumbs or crushed ritz crackers. bake at 400 for 30 minutes. serve over rice. This is one of my all-time favorite recipes. Every one needs to try it. They’ll be hooked! I adore this stuff… It’s not healthy despite the broccoli but it’s a special treat I give in to myself once in awhile… So I have one added ingredient that a friend taught me; add some seasoned croutons in this too. They come out chewy and add some more texture… Yum! Thanks, Traci Ann! Great idea – I’ll try the croutons next time! Can I sub the mayo with anything? Hubby really doesn’t like mayo and I’m not big on using that much mayo in a recipe. Thanks! You might be able to, but I’ve never used anything different. 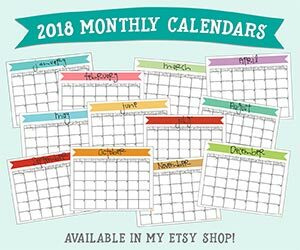 Hopefully somebody else will be able to help! I refuse to even keep mayo in my house! You can sub sour cream or plain Greek yogurt for mayo in almost any recipe; for chicken divan I’ve always just upped the amount of sour cream. I’ve never seen it made with curry powder; I use poultry seasoning. I usually use one can of cream of mushroom and one of cream of chicken, and I try to buy the ones that are 98% fat free to cut down the fat content of this recipe.